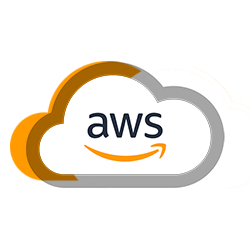 Organisations make use of Amazon Web Services, the cloud service from Amazon for their cloud computing requirements for a plethora of business needs. This large list includes application hosting, web hosting, analytics, big data storage, disaster recovery, backup, customised projects in fields like Internet of Things and many more. Companies that have successfully integrated AWS solutions get benefits like cost-savings, tighter security, increased efficiency, greater speed, flexible scalability and tighter security. The most reputed players in the world – Netflix, Reddit, Expedia, Aircel, AirBnb and even NASA run their applications on Amazon Web Services. The steep rise in the industry adoption of the AWS cloud infrastructure has also opened doors for a lot of career opportunities as long as candidates have the requisite skill set. An IT job aspirant should know what the most popular and lucrative job roles are and train accordingly. Certain AWS tools need hands-on training at the AWS labs in the real world in order to use them effectively. Hands-on experience in AWS in the cloud labs in specific domains can be very hard to find. There needs to be a focus on automation with an in-depth understanding of the tools from the domain ecosystem. Cloud hosted web sites and applications are the future of Information Technology. Amazon Web Services (AWS) is a secure cloud services platform, offering compute power, database storage, content delivery, highly reliable, scalable, low-cost pay-for-what-you-use infrastructure platform on the cloud. AWS powers hundreds of thousands of businesses around the world and offers other functionality to help businesses scale and grow.